See “Fabric Selection” tab to see colours in stock now! Proudly Australian made in Sydney Retro style sofabed or sofa is compact, sturdy and value for money. Double now $1,650 down from $1,950 in a 2.5 seater with commercial mechanism and a 15cm double innerspring mattress with option to upgrade the mattress. 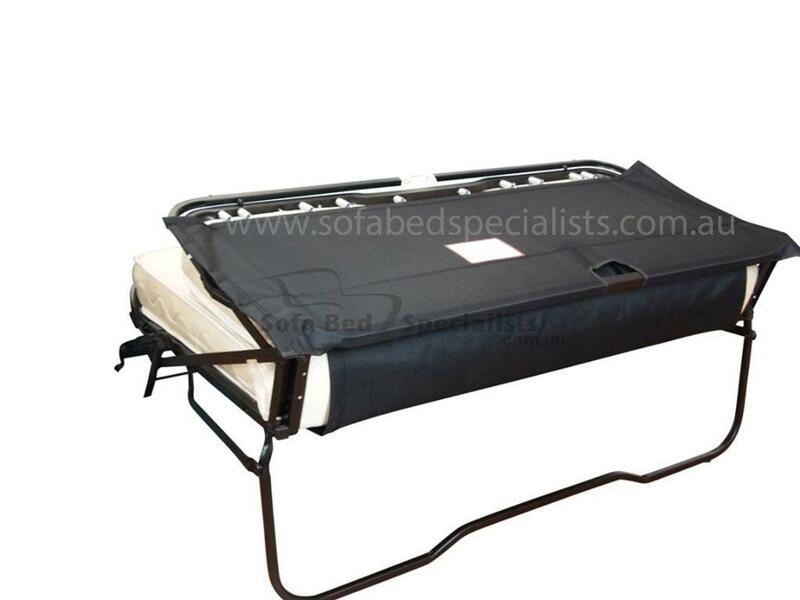 Categories: Sofabeds and Sofas, Australian Made, Double and Queen Sofabeds Commercial, Double Sofabeds, In Stock Now & Specials, Queen Sofabeds. Double Retro Sofabed was $1,950 now $1,650 – 2.5 seater with commercial mechanism and a 15cm double innerspring mattress, with the option to upgrade the mattress. The Retro sofabed is compact, sturdy and value for money. Commercial heavy duty mechanism with trampoline base. Our Retro Sofabeds are available for immediate delivery now $1650 was $1,950 – with commercial double mechanism and a 15cm double innerspring mattress, with the option to upgrade the mattress. I am so appreciative of all of your support whilst we made this purchase – and thank you for ensuring it arrived well before Christmas as well. The delivery men from Pedemonts Transport were wonderful and took a great deal of care as well. They are a fantastic choice for delivery. All the best and thank you again Conny – you are such a wonderful ambassador for Sofabed Specialists – they are lucky to have you and I think you deserve a Christmas bonus.